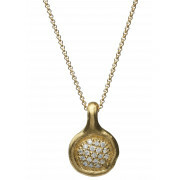 Killarney Crystal present this vintage inspired gold plated pendant. 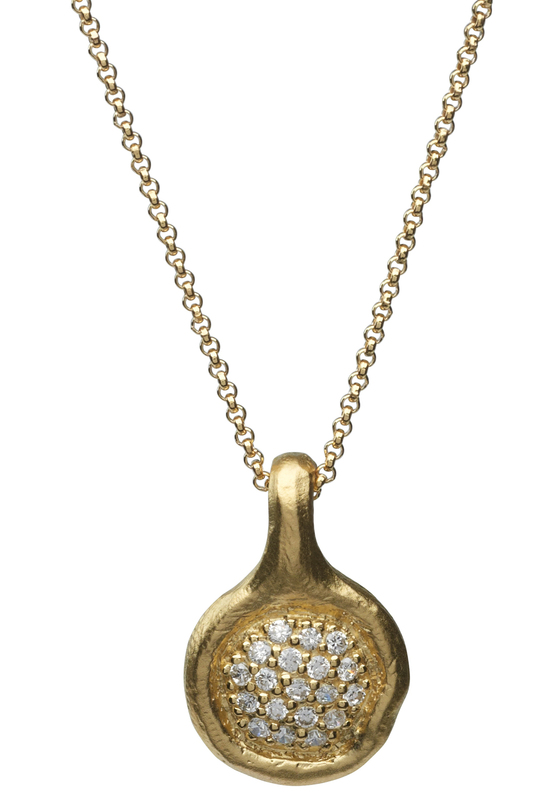 The round pendant features a crystal encrusted centre with a gold plated border and comes on an 18” chain. Length: Pendant – 1.5cm wide x 1.5cm high. Chain – 18” long.